Molix Real Thing Shad 3.5 inch Lures are little and realistic soft shad, designed thanks to a soft high density mixture. The special design imitates the shapes of a tiny forage fish, which will trigger the predatory instinct of lazy and suspicious predators as well. The dynamic profile shape and the bulky paddle give it an original and realistic movement, and also a great stability, using it with different rigs. The swimming is so natural and vibrant with an accentuate rolling effect at any retrieval speed. Great versatility and effectiveness both in freshwater and saltwater. the Molix RT Shad is recommended fro all the freshwater predators, without forgetting the Sea bass and other coastal predators in the sea. Available both in different imitative and classic colors thanks to which a special insert with a high concentration of glitter has been added to the process to exalt the reflections during the retrieval action. 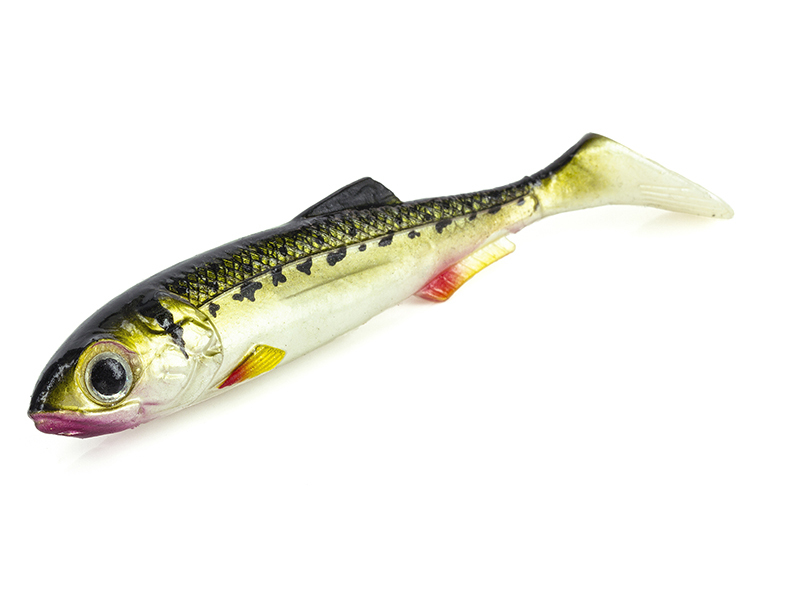 The Molix Real Thing Shad 3.5 inch Lures have a lengh of 3.5inch - 9cm and are supplied with 5 Lures per packet, these amazing life like lures are simply a must!! !